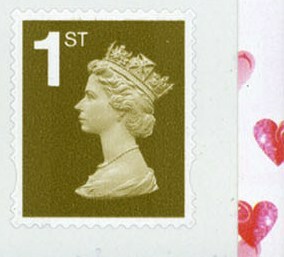 2007 SA1 containing 5 x 1st Gold and 1 x Love Stamps. 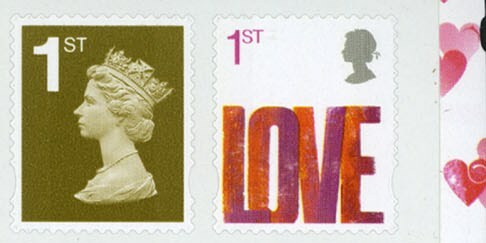 2008 SA2 containing 4 x 1st Gold and 2 x Love Stamps and two different labels. 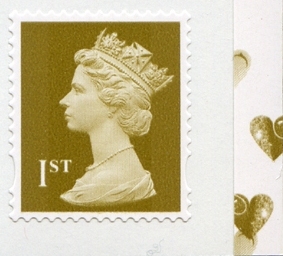 from Pane SG2693a Love 1st Self-Adhesive Booklet Single with attached 1st Gold (as image) from Mixed Booklet of 6. Never Hinged Mint Issued: 16th January 2007. 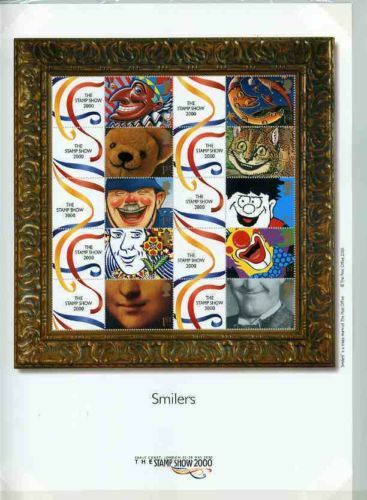 SG2655 Gold 1st Self-Adhesive Booklet Single from position r1.2 (middle of book) - from Mixed Booklet of 6 (see image). 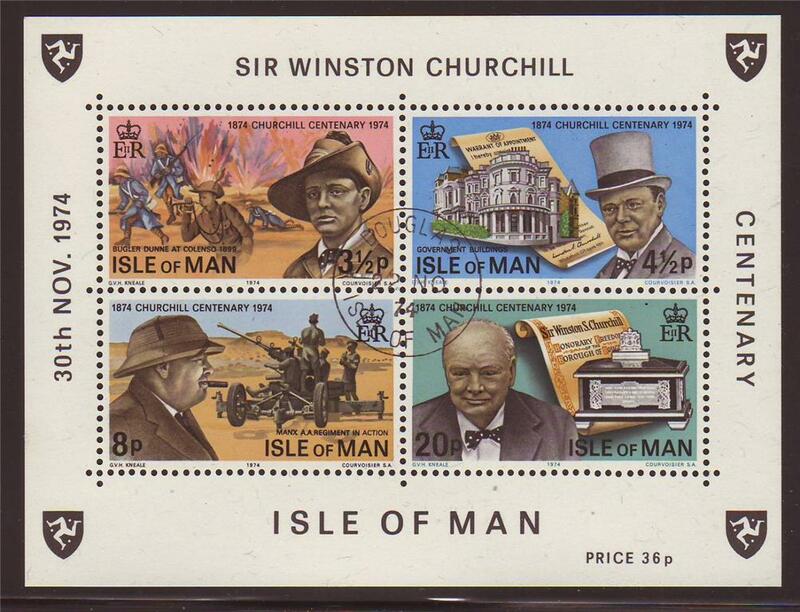 Never Hinged Mint Issued: 16th January 2007. 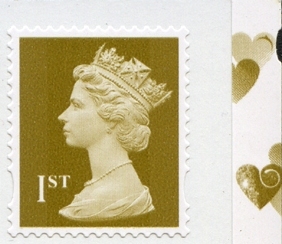 SG2655 Gold 1st Self-Adhesive Booklet Single from position r2.3 (edge of book) showing red hearts to verify source - from Mixed Booklet of 6 (see image). 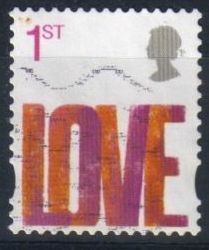 Never Hinged Mint Issued: 16th January 2007.
from Pane SG2693b Love 1st Self-Adhesive Booklet Single with attached Label from Mixed Booklet of 6. Never Hinged Mint Issued: 15th January 2008. 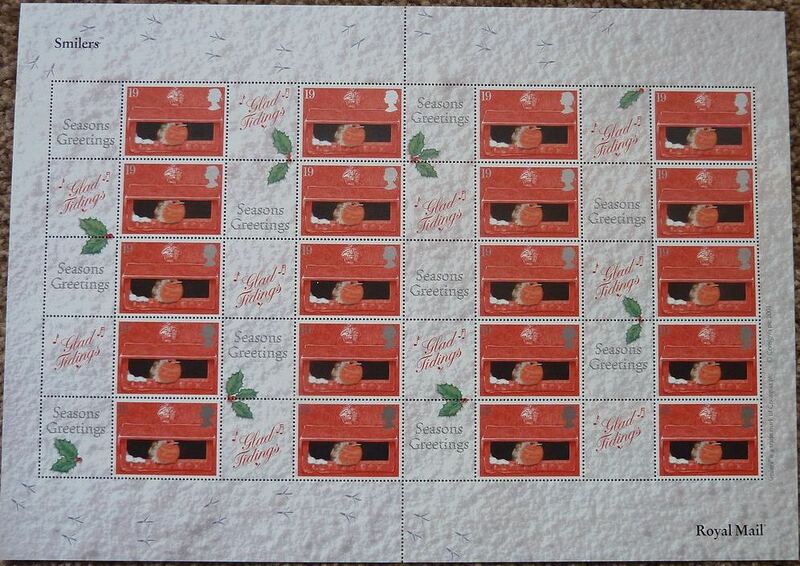 SG2693 Love 1st Self-Adhesive Used Booklet Single. 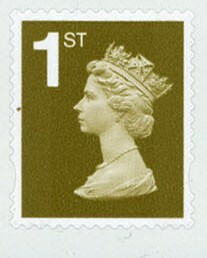 Fine Used (as image) Issued: 16th January 2008.